The fact is that for many Holiday makers the purchasing of accommodation is a big ticket item and for them and the BEST source to deliver on a successful outcome is dealing direct with the owner or property manager. The owner /manager and holiday makers interest are directly aligned as they both want a successful outcome. Love them or loathe them, OTAs do have a valuable role to play in the travel industry. 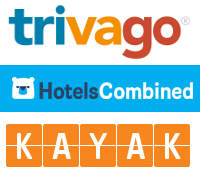 We all understand accommodation providers prefer direct bookings, however they can greatly benefit from the “billboard effect” when listing with these OTAs. Potential guests see accommodation they like when using one of the large OTAs, and instead of making the booking with the OTA, they search for that accommodation’s website and book directly. 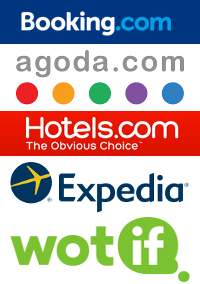 So OTAs can certainly help drive direct bookings. Unfortunately many accommodation providers simply won’t be easily found by first time guests if they aren’t listed with either an OTA or a popular regional or state-based tourism website, particularly if the guest is not familiar with the area they are planning to stay in. However, potential guests can be encouraged to book direct when they find somewhere they like through one of the OTAs. There will always be some guests who prefer to book through an OTA in order to have a 24/7 support line to call, someone to help them if things go wrong and they need alternate accommodation, or a one stop shop to book airfares, accommodation and car hire all in one go. It’s no different to people who choose to book their holiday with a travel agent as compared to making their own direct bookings with individual providers.